Did you know that your vehicle operates under two different types of driving conditions? The manufacturer of your vehicle defines the different kinds of driving conditions as "normal" and "severe". Do you operate your vehicle in any of the conditions listed here? In the New Jersey/New York metropolitan area we Zap Lube consider the above conditions as normal (these are the normal conditions we are subjected to). The conditions are, in fact, severe driving conditions for your vehicle! The conditions mentioned above are very hard and stressful on your engine. Stop and go traffic, extensive idling, and short trips are particularly hard on your vehicle's engine. 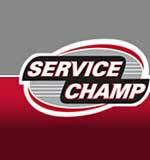 The oil change interval for your vehicle is based on the driving conditions. 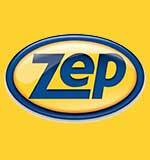 If you are operating your vehicle under severe conditions then you need Zap Lube to have your oil changed every 3000 miles. 3000 mile oil change interval is determined by the manufacturer of your vehicle (please consult your vehicles owners manual). Are you tired of the neighborhood kids writing, “wash me” on your car? Is your car so dirty that you’re starting to forget the original color? Don’t wait a second longer. If your car needs a good scrubbing or a classy touch of sparkle, it’s time to let the professionals at Zap Car Wash work their cleaning magic! We know how important your car's appearance is to you. That's why we use the most modern cleaning equipment, trained staff, and quality environmentally friendly soaps and cleaners. Luxury sports cars, to sport utility vehicles and classics, we guarantee your car will leave looking shiny and new. ZAP Car Wash is proud to operate GREEN car washes. We do our part to protect the environment, as a green business, Zap Car Wash is working to conserve water and energy; reduce pollution and waste; and make our operations environmentally friendly. In addition to reducing our impact on climate change, being green is important to our customers, our communities and our employees, and sets an important standard in the industry. 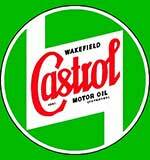 Our rich history dates back to 1947 during the automotive golden age. Not only were we the second car wash built in NYC but we still hold the title of being the largest car wash in Manhattan. Since then we have been fortunate to have built a colorful past that would stand out within any industry. For 63 years and counting, we have taken pride in the cars we maintain and in satisfying the costumers who drive them.